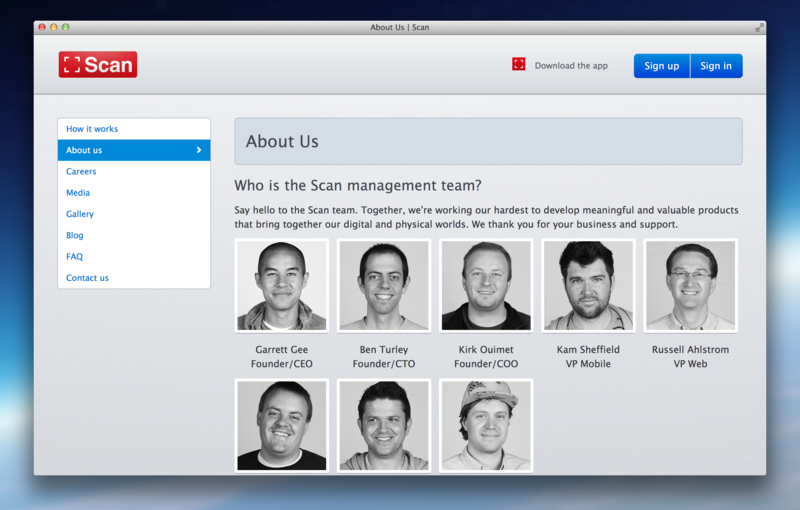 It was 2 years ago when we initially launched v1.0 of the Scan website. 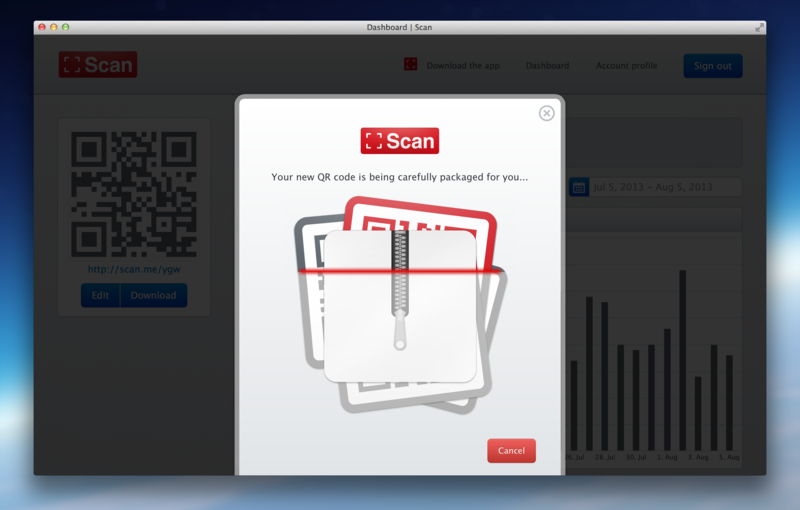 It quickly became one of the fastest growing sties for the world to create, manage, and track custom QR codes. 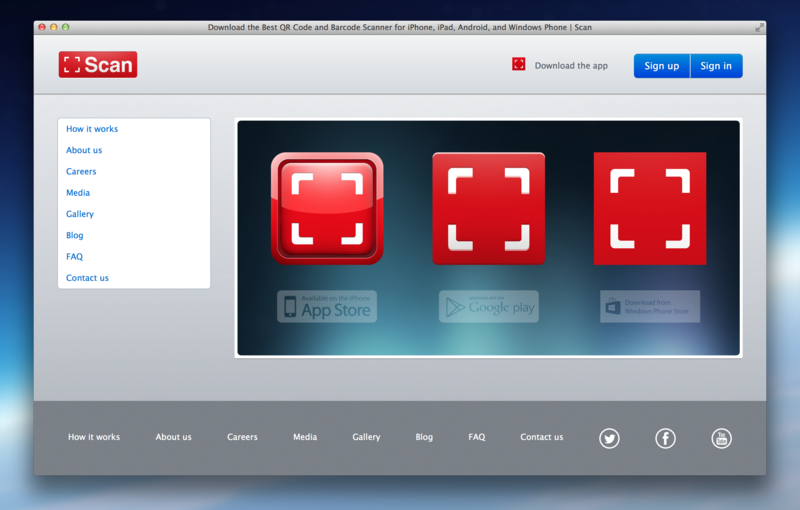 Today, were excited to fully introduce v2.0. 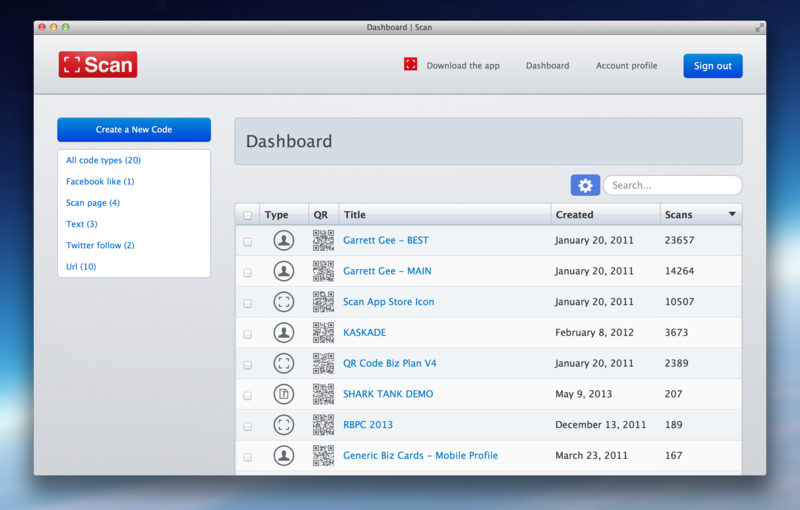 When we initially launched v1.0 there were already many other sites allowing some sort of qr code creation. But nothing as simple yet powerful as we felt the world needed. For us, this has never been a race between us and the competition, but rather, a personal mission to be our very best and deliver the world the most valuable products and services possible. 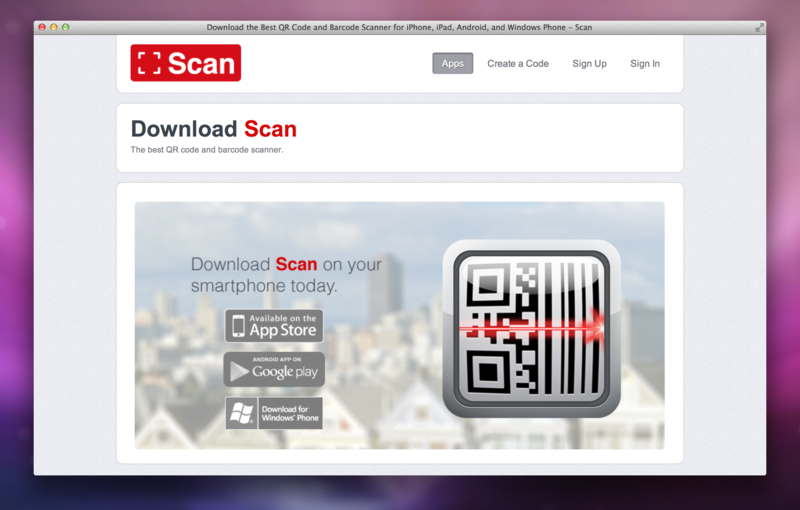 NEW SITE – Homepage : Perhaps the biggest change was moving the generator (QR code creator) directly to the home page. 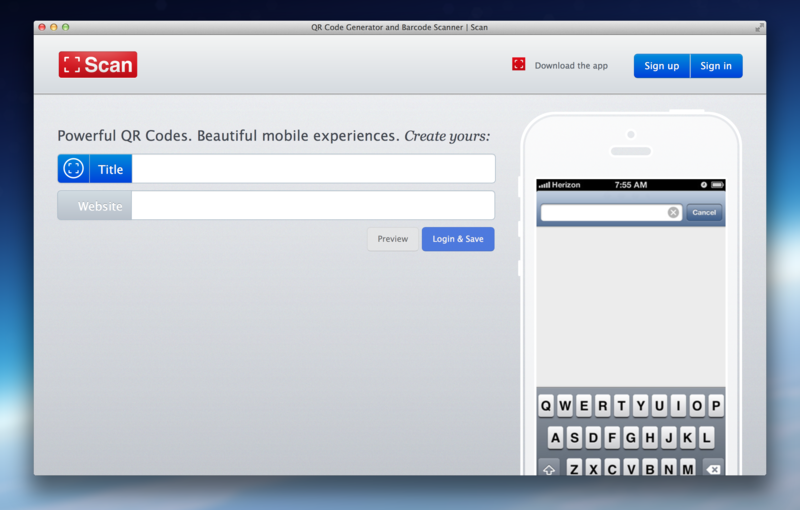 NEW SITE – App Download Page : No comment (yet ;). 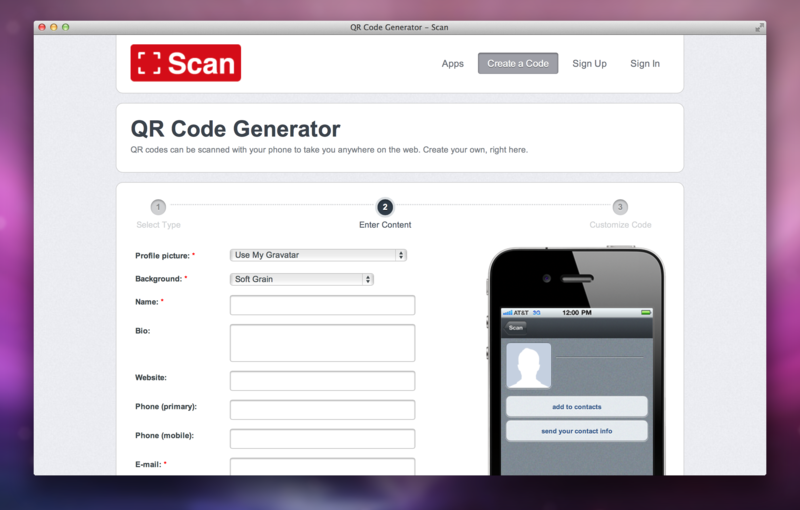 NEW SITE – QR Code Generator : We thoroughly went through our old site, especially the QR code creation process, and simplified anything and everything possible. 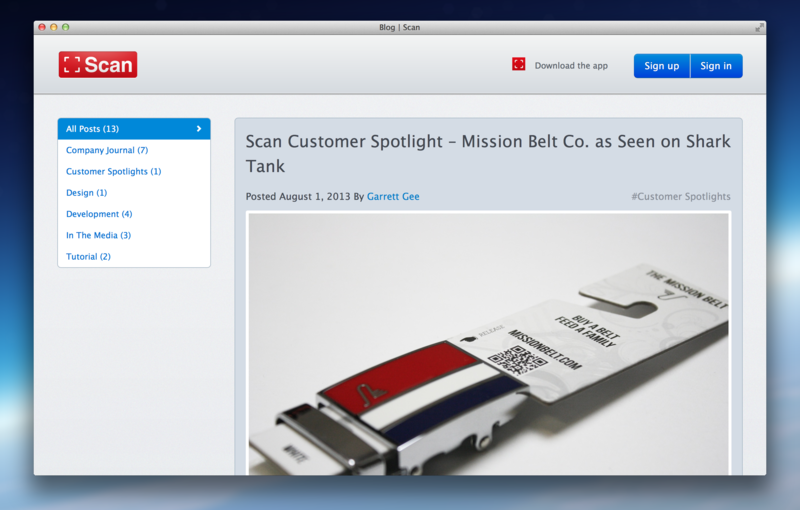 NEW SITE – About Page : Interior pages now have a secondary side menu for easier in-site navigation. NEW SITE – Blog : Cleaned up the layout of our blog and will be more actively delivering product tutorials, industry reports, and other valuable content. NEW SITE – Management Dashboard : We were honestly stunned by the incredible number of codes created within our site from the beginning. One of our top priorities with the new site was a powerful dashboard that would help our power users manage all of their many codes with ease. 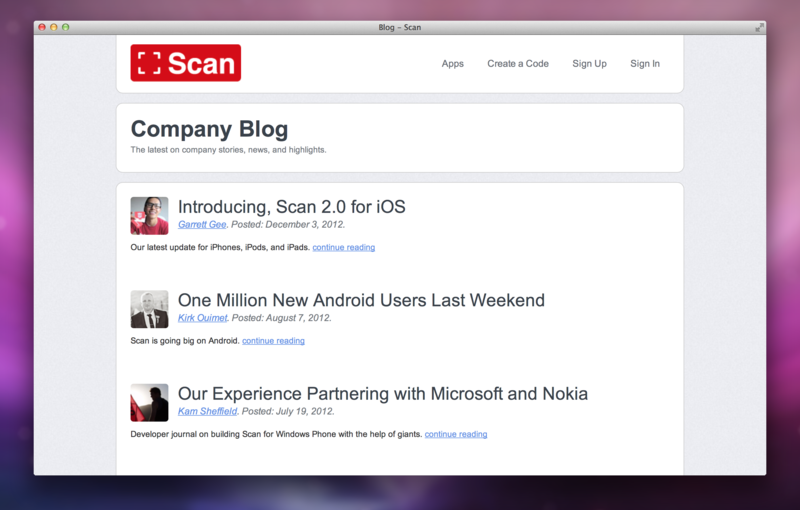 NEW SITE – Dashboard Hover Effect : This is a small feature but it’s already one of my favorites. When working with QR codes it is important to test your codes. 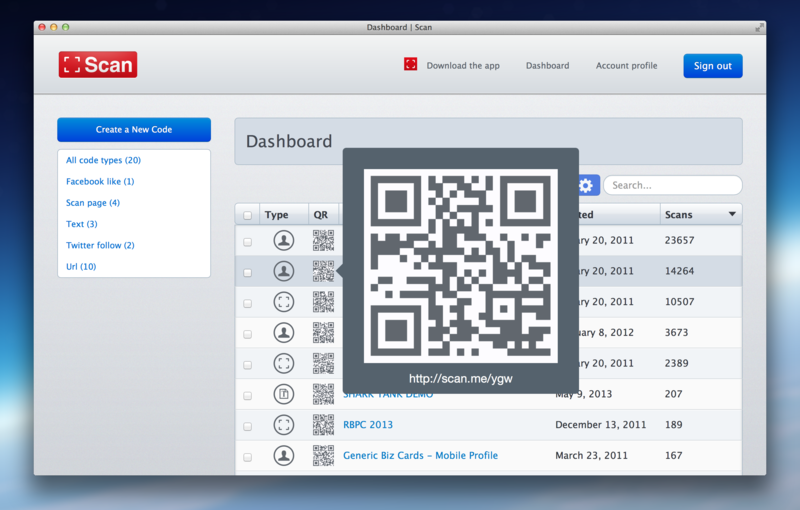 This simple feature make it easy to scan your codes directly from your dashboard screen. NEW SITE – Zip File : Yet another fundamental change. The 3rd step to our old generator was customizing the look of your code, choosing a format, saving, and then downloading. We’ve simplified the entire process into 1 easy step. Now, clicking save immediately generates your code in a variety of styles and formats and neatly packages into a zip file for your many possible use cases. NEW SITE – Analytics : One major component that has always set us at the top of the QR code industry has been our most powerful analytics. 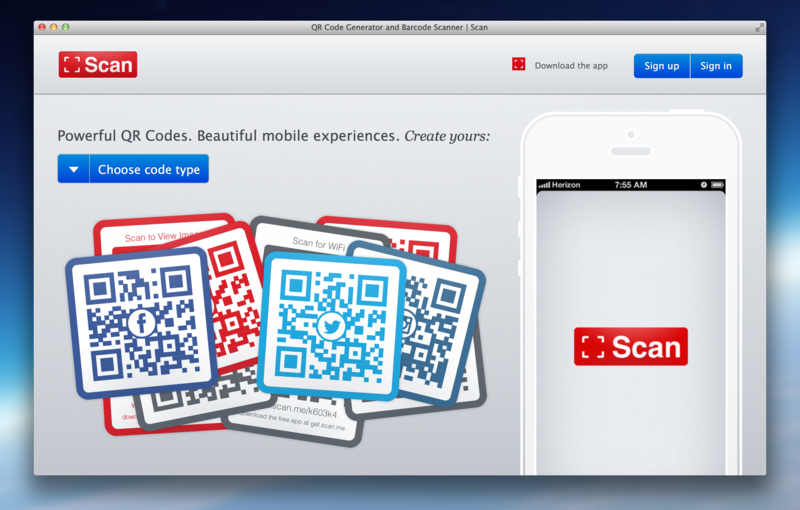 Most other QR code products are either a stand alone app or just a website. 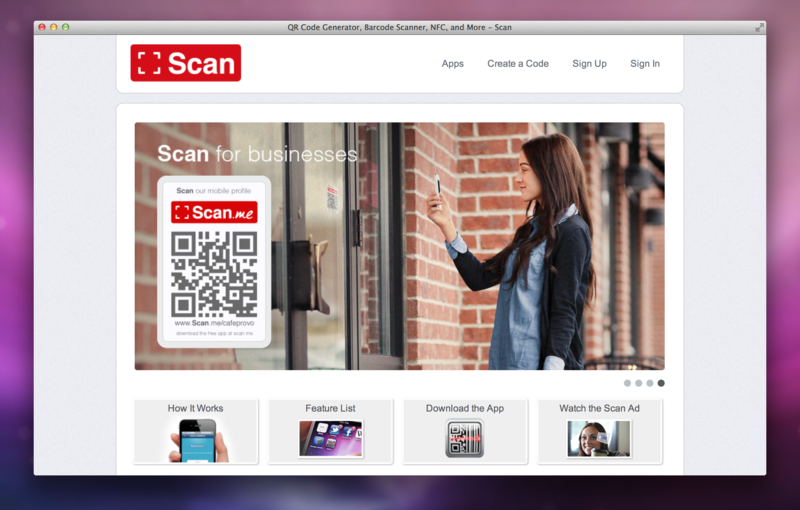 Very few have both and those that do haven’t been able to achieve the successful usage of Scan’s website and mobile apps. Having a major presence on both ends of the table has enabled us to deliver robust analytics above all else. 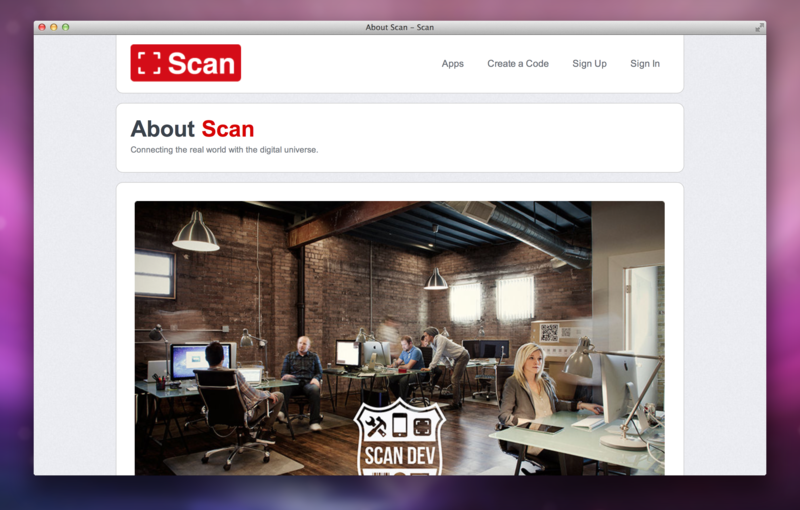 We’ve worked hard and are proud to release the new site. But, we’re not done yet! There is much goodness just right around the corner including a mobile version, updated Scan Pages, and most exciting, new QR code types that the world has never seen before! Stay tuned.. 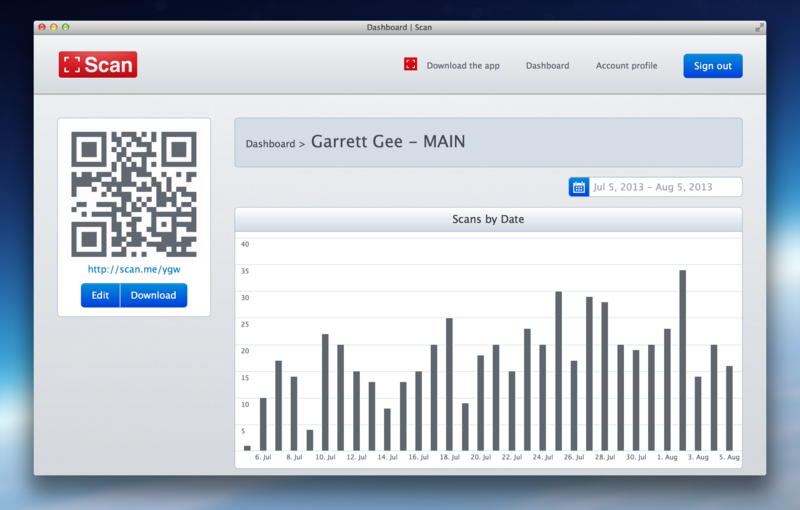 This entry was posted in Entrepreneurship on Aug 12, 2013 by garrettgee.